Clients call Go Answer a ‘partner’, and we don’t blame them. A solid company, affordable prices, and a good reputation. GO ANSWER live phone answering service provides a wide array of highly personalized services designed with clients in mind. Their pursuit for customer satisfaction is surpassed only by their passion for customer loyalty. When customers speak with a GO-ANSWER™ receptionist, it is their responsibility and primary goal to satisfy your clients needs as if they were speaking with you directly. From patient scheduling to answering patient questions and more, the call center agents employed in the healthcare division of GO-ANSWER are specially-trained to handle all calls related to the healthcare field. Whether you run a dental office, a private practice, or a large hospital, GO-ANSWER has answering services designed for your unique needs. Pros: Go Answer offers a 14 day free trial of their answering service solution. Service runs $50 as a base fee plus $0.95 per minute of operator time. With over 500 employees they are able to service client of all sizes with nearly any type of need. 24/7 bilingual message handling solutions. Cons: The live chat support is does not work at all when all their agents are busy; you are not able to just wait until the next customer service agent is available. Their website had many broken or bad links so it was hard to figure out all of their cal center solutions. Not Sure About Go-Answer as the best solution? 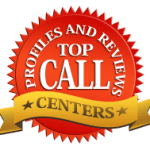 See other top reviews on answering service companies below.